Kylie Parker is a Chartered Accountant who owns Lotus Accountants and co-founded AccounTek Global to support and promote women in accounting. She’s a mum, stepmum and adviser to the stars. 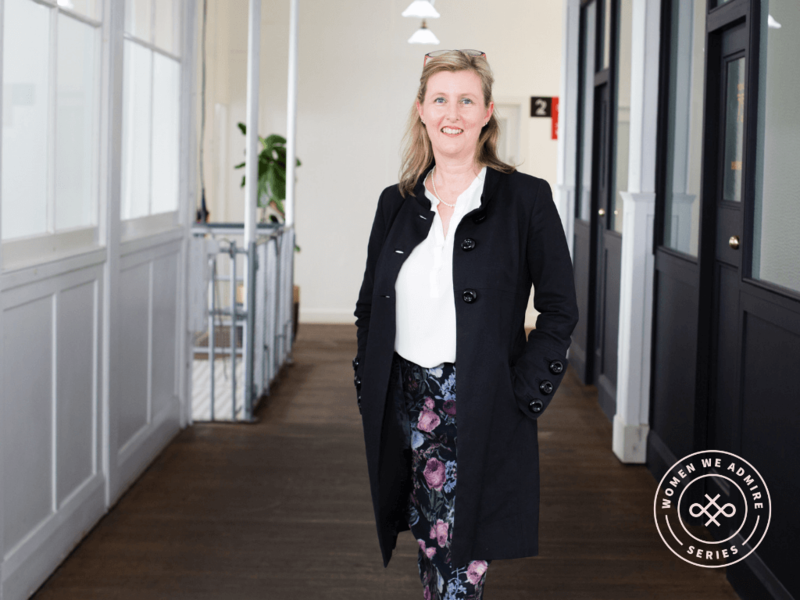 After personally experiencing a number of life’s unexpected stressful events, she wrote a book, Planning Plan B whilst juggling solo parenting, her business and working full time at Xero. Tell us about your business, what kind of work do you do? I’m a Chartered Accountant with a sole practice, Lotus Accountants. I spent two years working as a Senior Account Manager at Xero whilst the business was in its infancy. I’ve also worked at Deloitte and for BBC in the UK. I launched my first business in 2004, after the birth of my first son. Joining with former Deloitte colleagues, we formed a mid tier firm called Logicca. Working with creative people and highly financially successful people has given me many professional challenges and highlights. This year, I’ve also formed an organisation with two other women called AccounTek Global. We help with digital adoption and also encourage and promote women in accounting. You make no secret of your painful divorce – you wrote a book about it to help other women. How did your divorce affect your business? It was a crazy time. Within six weeks, I discovered my husband was cheating on me. My relationship with my business partner had also deteriorated, and I’d been asked to leave the firm I had co-founded. It was a really stressful time and my priority became my health and children. All my plans for the future were out the window, I had to organise the sale of our house, renovate an apartment, re-home our dog and help my young sons cope with their new family dynamic. All whilst losing the support I took for granted in both my relationship and business. So a few years later, I wrote a book (Planning Plan B) to help other people navigate unexpected stressful events that unfortunately do occur in life. Through this time I kept moving forward with a mantra – I can’t control what happened to me but I can control my reaction. I chose to put my kids and clients first and now am married to the perfect man, I have a business that is fully cloud-based and I’m working with people I admire. What’s it like working in a very male-dominated industry? I didn’t see much of a difference until I had children. All three of my business partners had wives who didn’t work. The wives looked after the family aspect of their private lives, whereas my then-husband and I were both full-time workers. I found that juggle difficult. There’s that perception that if you’re not at your desk, you aren’t working as hard as someone who is. I’ve always had the philosophy that as long as I’m getting my client work done and my team are happy, then there’s no issue. What do you enjoy about your career in accounting? I love the variety. I work on a vastly different issues with different people within entertainment industry. Plus, I’m keen on exploring more and more ways to automate transactions. There’s so much technology that boosts efficiency and helps clients manage their money better. It’s an exciting time in the industry. What’s it like speaking at big corporate events? Do you get nervous? I do feel anxious sometimes. Given I am campaigning for more women to speak at industry events, I know I also have to step up to the microphone! I’ve completed an online speaking course by Vinh Giang that forces me to practice, keeps me accountable and has boosted my confidence as a speaker. Jumping in the deep end and presenting online software demos whilst at Xero helped too. Is your work style more corporate or casual? My style used to be a lot more corporate. Now, it’s really based on the clients and who I’m seeing and what I’m doing. I follow the policy of ‘dress how you want to be perceived’ so I dress up from time to time. My favourite brands are Ginger and Smart, Karen Millen and DECJUBA. I’ve also picked up amazing European designer pieces at Bondi Vinnies as well. I shop like an accountant – I seek good value at the lowest price. Stepping away from work, what do you enjoy in your spare time? What I don’t spend on fashion, I spend on travel. I’ve been to over 70 countries. I think sharing those travel experience with my kids, especially when they are young, is very important. We have a trip planned to Greece in July which will be the first one including my step daughter. Our blended family of five on tour should be memorable. What are your favourite business books? Two books that inspired me to finish writing my own book are Essentialism by Greg McKeown and Life in Half a Second by Matthew Michalewicz. Finally, what’s your advice for women looking to advance their career in accounting? For anyone, not just women, I’d say make the lives of those that you report to easier, be proactive and learn about new technology. Follow leaders in the industry, go to events they are speaking at and introduce yourself. Plus, the friends you have from university, study and your workplace are the networks of your future. So grow them, don’t burn bridges and be genuine in trying to help people. Also, continue learning, there is constant change now and if you wait for someone to tell you what to do you are being left behind. And for women specifically, if you start a family, maintain at least part time work. Don’t give up your career even if financially you can. You never know what the future holds. My professional networks were in many ways more important to me than some of my closest friends when I got divorced. Also being able to maintain a life outside the kids is really important for your own self confidence and sense of community. Posted in Women We Admire and tagged Kylie Parker, Lotus Accounting, women in accounting, women in finance, women we admire.